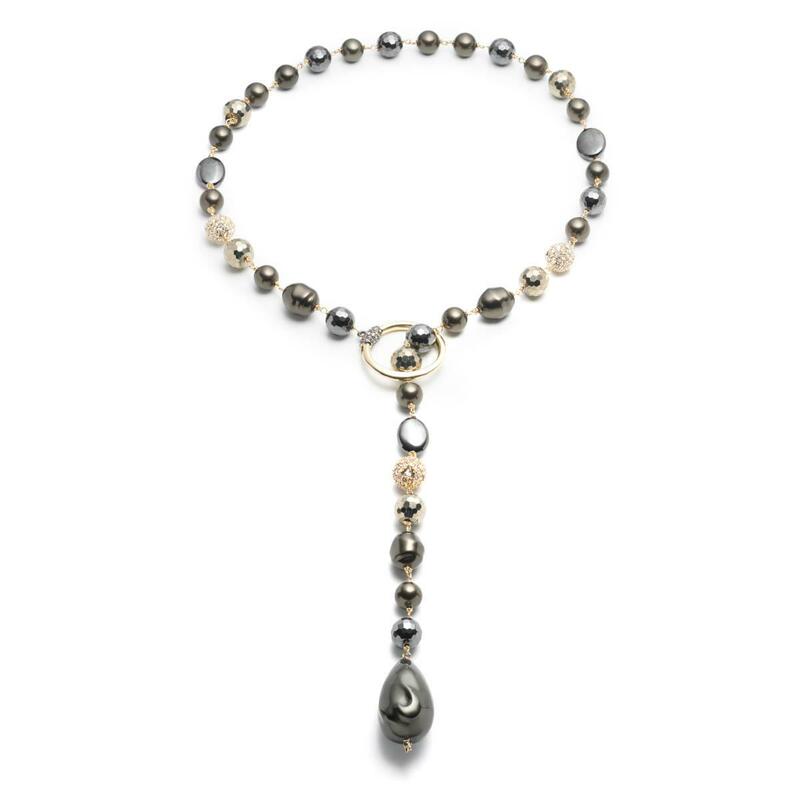 18k Yellow Gold Bollicine Diamond Necklace, 37"
Elegant yet playful pearl lariat necklace. Hematite touches add a rebellious feel. 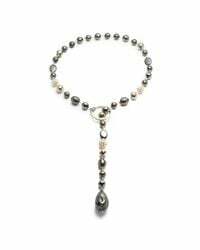 Hematite, Pyrite, Shell Base Pearl and Gunmetal Tone Plated Brass. 26" length.